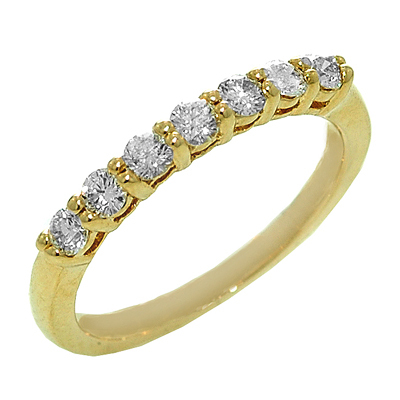 Shared Prong Round Brilliant cut Diamond Band featuring seven Diamonds, 0.50ttw set in 14K Yellow Gold. 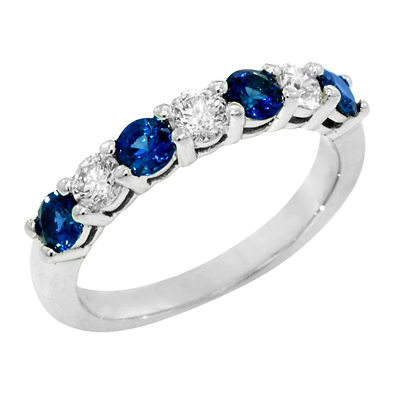 The diamonds are G-H color, SI1 clarity. 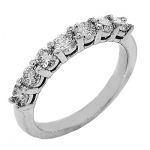 *Setting is also available in 14K White Gold.